Though the new subway lines and bullet trains — the stuff of fairy tales to a New Yorker — did provoke a certain amount of envy, other developments were all too familiar and elicited different emotions. Rising incomes have brought skyrocketing rents and gentrification across the city. Further, the political and economic stability of the past twelve years have attracted massive foreign investment and greater connection to world markets. 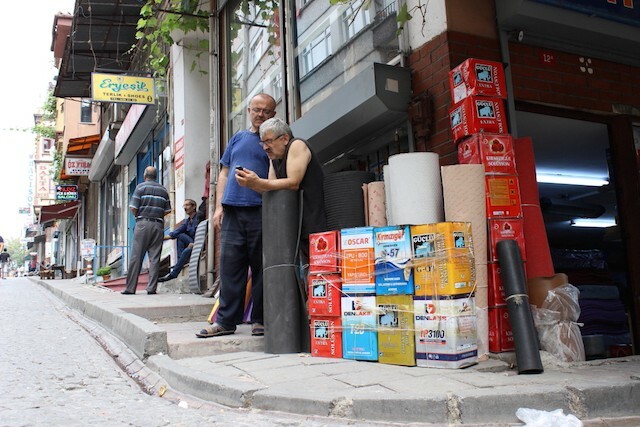 What gentrification and globalization have done to New York’s manufacturers, and to its working-class neighborhoods, they will soon do to Istanbul’s. 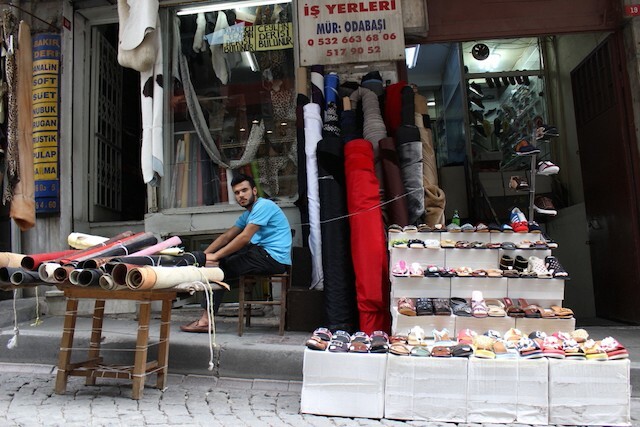 One such neighborhood, seemingly out of step with the city’s race to modernize, is the old-fashioned shoemaking district along Gedikpaşa, a steep cobblestone street in the heart of Istanbul’s old city, not more than a few minutes’ walk from Topkapi Palace, the Hagia Sophia, and the other major mosques and monuments that define the tourist circuit. 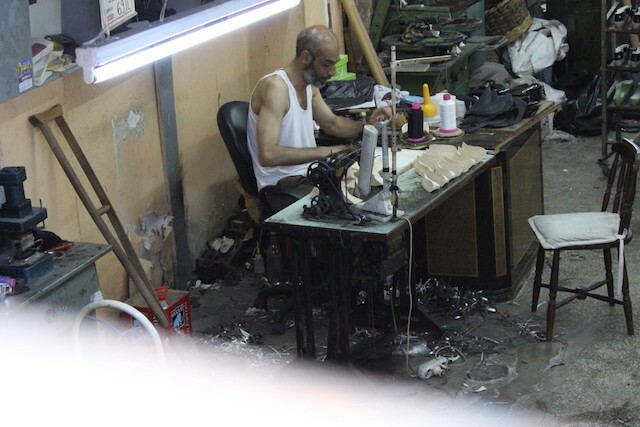 Though it faces the same fate that befell New York’s apparel industry, the shoe district of Gedikpaşa is of a somewhat different character than the Garment District sweatshops where my grandparents worked (and whose closure few mourned). Operating on a far smaller, and, to my eye, happier scale, Gedikpaşa upholds some of the traditional virtues and pleasures of neighborhood life that in recent years have been in such short supply across much of New York. The district consisted of three overlapping but distinct zones. 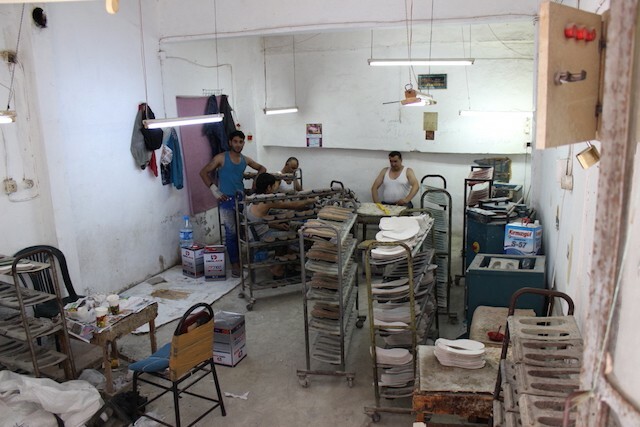 Toward the bottom of the hill, closest to the sea, were the workshops where the shoes were made. Typically, they were populated by three or four guys, one an apprentice, all in shirtsleeves or white tanktops, working (or not) at makeshift stations, surrounded by a welter of tools, supplies, half-made shoes, lasts, soles, and remnants. Fluorescent lights, electric fans, maybe a TV set on in the background, and a haze of cigarette smoke completed the tableau. There were storefront workshops in residential buildings, basement workshops, cramped, old commercial buildings with multiple workshops. Some facilities were built along more modern lines, though these too showed the signs of extensive use and minimal upkeep. 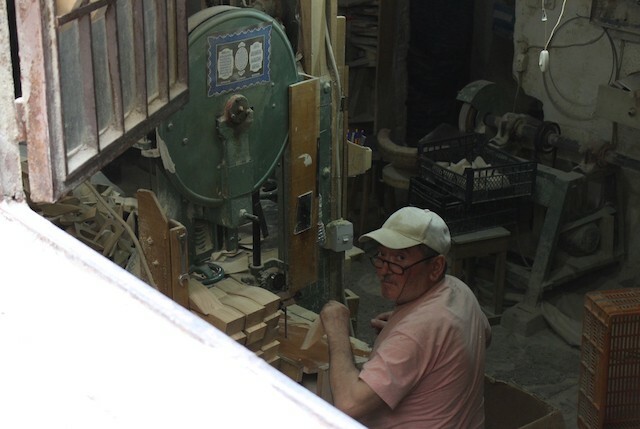 All across lower Gedikpaşa and the warren of side streets and connecting alleys, the distinctive sound of the cobbler’s hammer rang out from scores, perhaps hundreds of workshops. Further uphill, the workshops gave way to a network of supply stores, stocking every kind of material and tool a shoemaker might need. 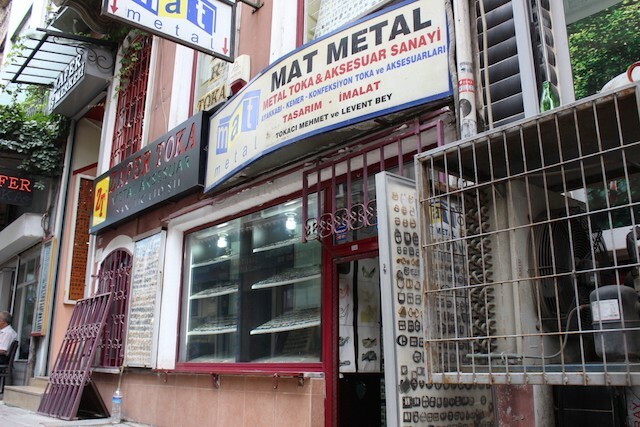 There were dozens of taban stores, which sold nothing but soles. 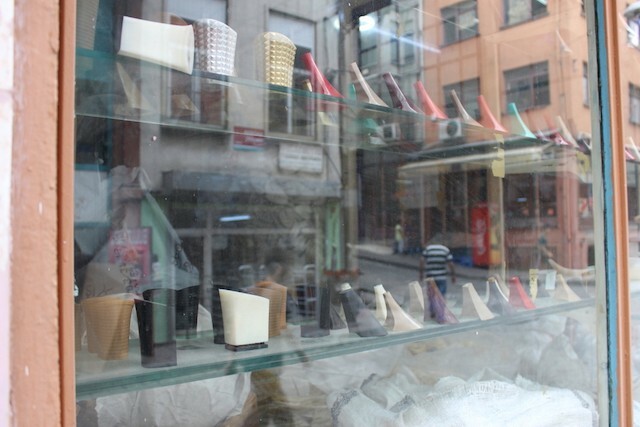 Others traded in rolls of polyurethane and polyethylene foam, for constructing midsoles and insoles. Often these dealers sold rubber cement as well. The rolls came in an assortment of thicknesses and colors, and there were various types of rubber cement, or polymer adhesives, to be more precise about it. Metal shops stocked buckles, shoelace eyelets, and the like. 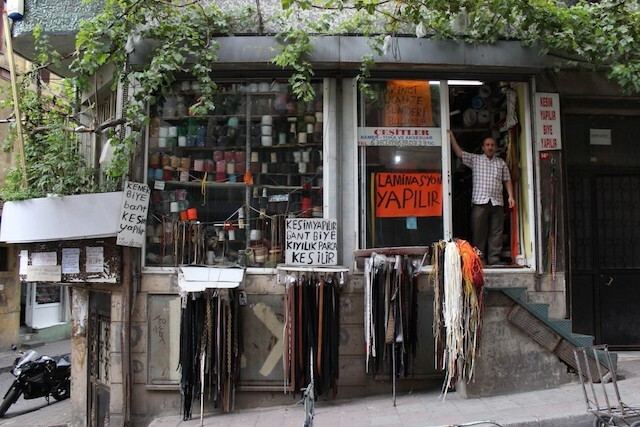 On one side street, I found half a dozen sewing machine shops; on another, shops that stocked awl blades, hole-punching bits, and other tools for working leather. 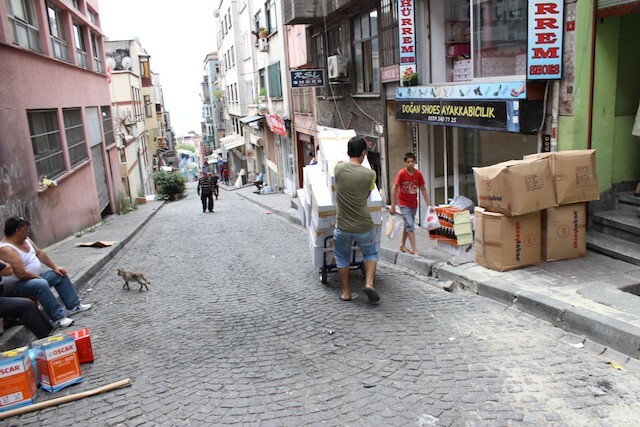 Closer to Tiyatro Cadessi, which runs parallel to Gedikpaşa, deri shops dominated. 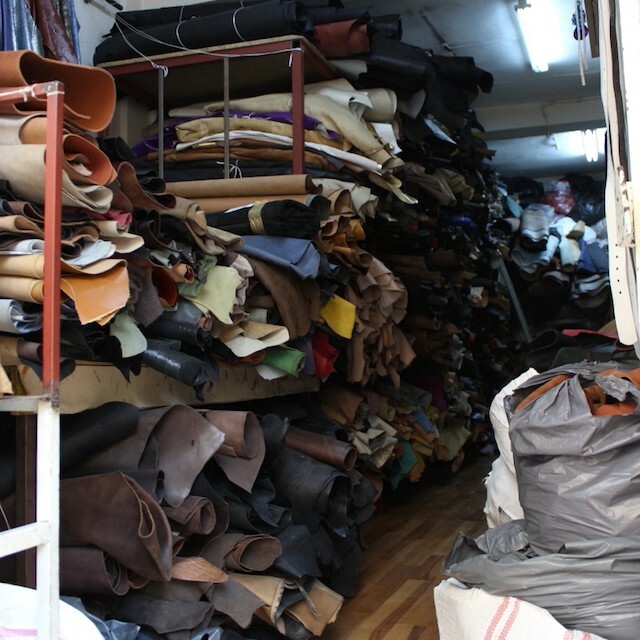 Literally, deri means “leather” or “hide,” but within the district it seems to be used more generally, by sellers of leather, fur, fabric, textiles, any of the natural or synthetic “soft” materials used for a shoe’s upper. 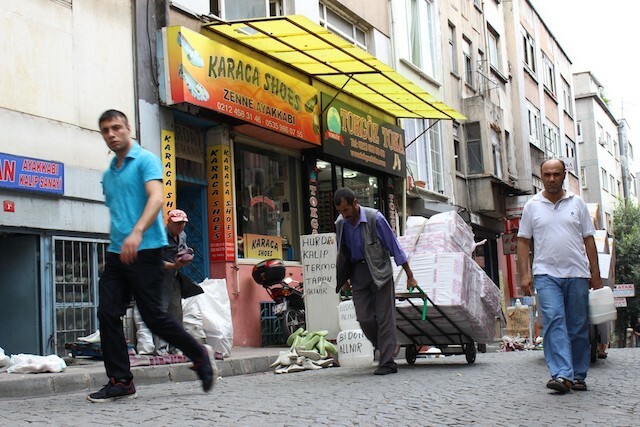 The supply shops were almost always empty; shopkeepers stationed themselves on the sidewalk out front. Sometimes they congregated in groups of two or three in front of one shop, while other shops were left entirely unattended. The proprietor of Star Deri and I got to talking on account of the kittens just across the street from his shop. 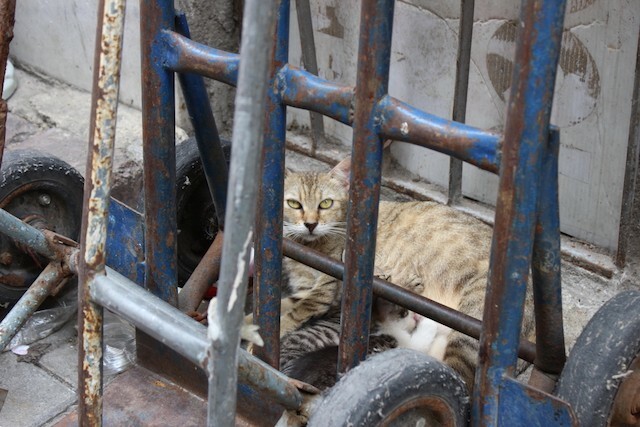 If cats occupy the private sphere in New York City, they’re very much part of public life in Istanbul, where they are legion. They were nobody’s cats and everybody’s cats. Everywhere, people provided makeshift shelters for them, put out food, kept water bowls (usually fashioned from the bottom half of a plastic liter bottle) filled to the brim. 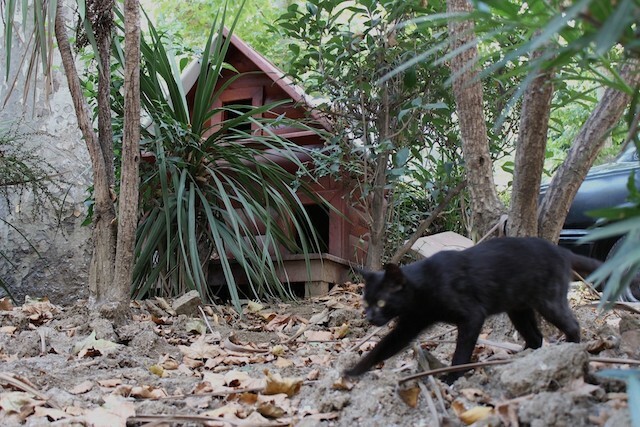 I even found a sturdy cat chalet within a small median of shrubs and trees along one street. 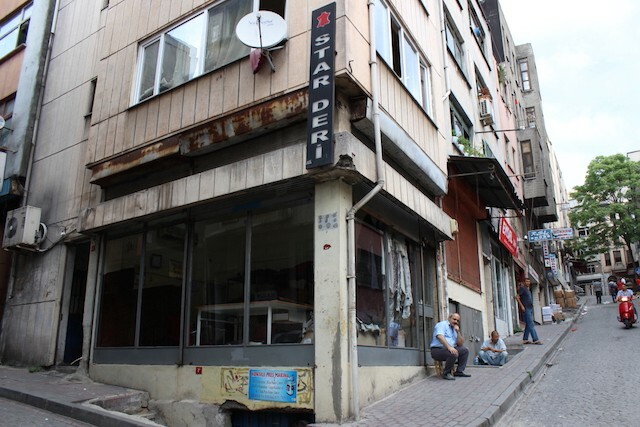 “Fatih Belyedesi,” the name of the local municipality government, was stenciled on its side. 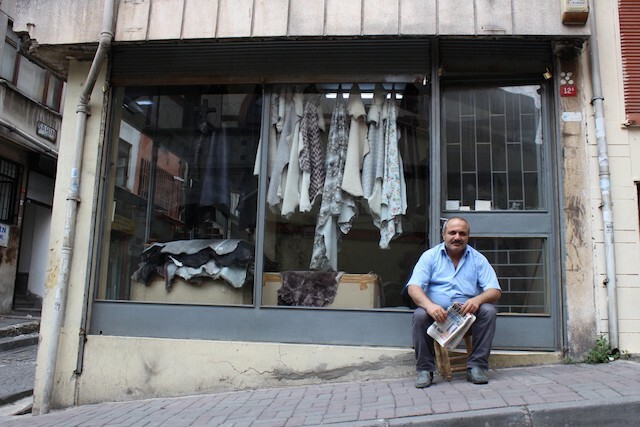 After taking a few pictures of the kittens, I turned toward the proprietor of Star Deri (I never did get his name) and gestured with my camera to see if he would mind my taking a photo of him and his shop. 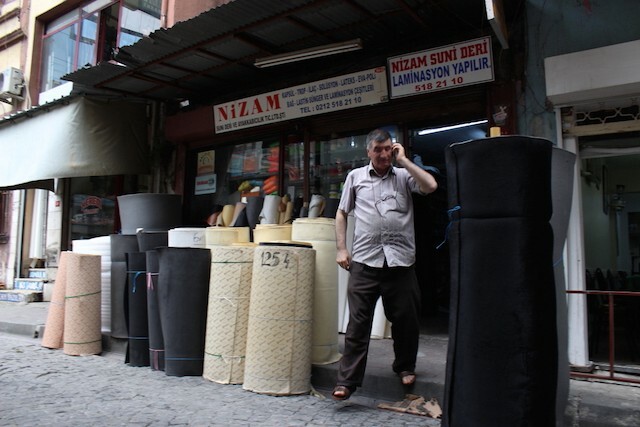 “Mama” he said, tilting his head just a little bit toward the sky, and saying a few words in Turkish. “Mama,” he said again, drawing a finger across his throat, just to be clear. 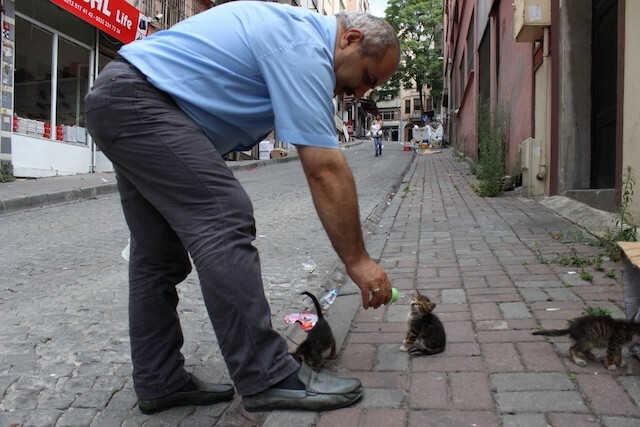 “I feed them,” he said, lifting up a baby bottle that must’ve been tucked under his stool. With a deft, practiced motion he wrapped the sample around his shin. “Like Uggs,” I said. “Like Uggs,” he repeated back to me. “Egyptian leather,” he said, moving right along. Further yet uphill, above the workshops, above the supply houses, were the showrooms. 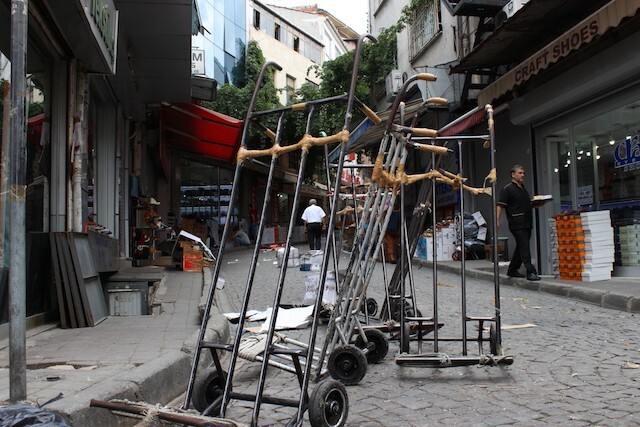 Surveying a single bystreet branching off Gedikpaşa I could see twenty or more of them, one next to the other. Along a few short blocks, there couldn’t have been less than a hundred. These showrooms, I eventually realized, had no low seats for customers, no mirrors, no accommodations for trying on shoes. Here, signage was occasionally in English, for the convenience of foreign buyers, I suppose. 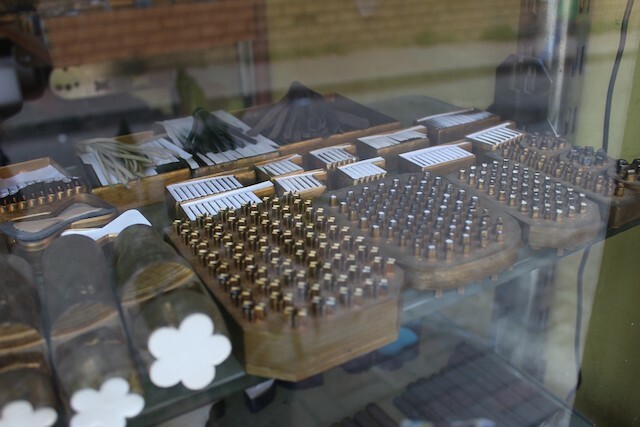 For the same reason, the dealers seemed more likely to speak English, though a few conversations began and ended with admonishments not to take any pictures. At first I attributed this to the dubious name-brand merchandise I spotted in front of a few showrooms, but I came to think that their reticence illustrated a different mindset: whereas the shoemakers and suppliers saw no harm in my poking around, and enjoyed the interruption, the dealers, or at least some of them, calculating in a different fashion, saw no profit and sent me on my way. One young shopkeeper asked me where I came from. I told him. “Michael Jackson, you know Michael Jackson,” he said. “Yes, of course, Michael Jackson,” I said, a little bit unsure whether he meant personally. He extended his right arm. “I do it myself. In military,” he said. I was so surprised that I didn’t manage to ask the question foremost in my mind, Why? I nodded admiringly. “And the other tattoo?” I asked, breaking a silence that had gone on a bit too long. He touched his index and middle fingers to his heart, as if tracing the outlines of the letters. At that point, another young man appeared on the scene. MJ (as I had dubbed the tattooed dealer) introduced the newcomer as Ali, a Turk from Syria who had recently emigrated here for work. 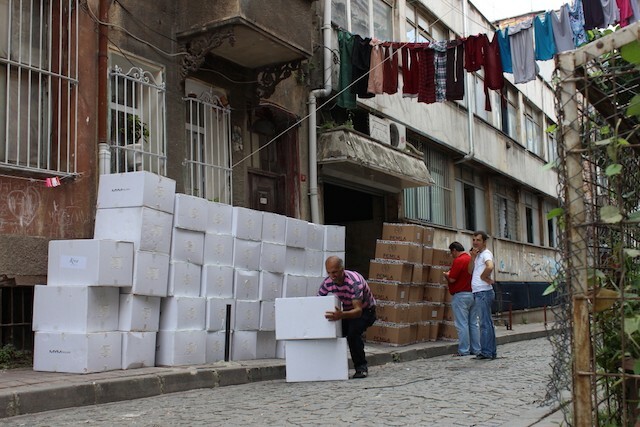 After the two exchanged some pleasantries in Turkish, MJ’s associate removed a leather shoe, a loafer, from a shoebox he was carrying and handed it to MJ. Turning a trained eye to the task, MJ flipped it over to check the sole and gave the upper a quick tug. He handed it back, allowed himself a brief, judicious pause and gave his associate the most noncommittal of shrugs. I couldn’t tell whether he was being asked to buy the shoe or give an unbiased opinion. But I did get a glimpse of how business could be conducted. 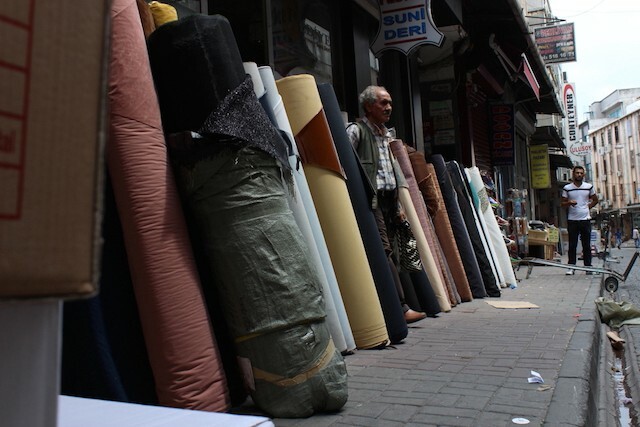 I saw that orders large and small — for loafers, for bolts of Syrian leather, for cases of rubber cement — could be placed with just a few words out on the street, in passing or over a cup of tea. The wholesalers and suppliers knew each other and they knew the merchandise — they hardly needed to go inside their shops to conduct business. They could afford to sit out on the street, where the action was. 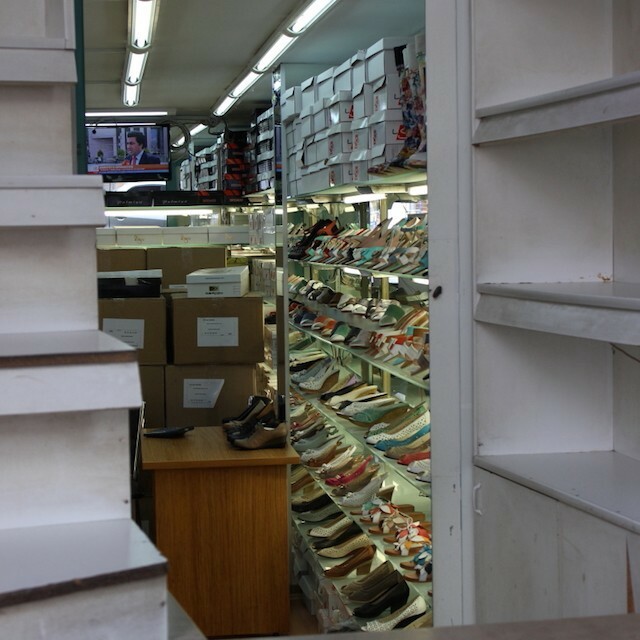 According to a 2009 analysis of the footwear industry published by the Export Promotion Center of Turkey, there are 4,753 footwear manufacturers in Turkey, employing a total of 26,954 shoemakers (more or less). 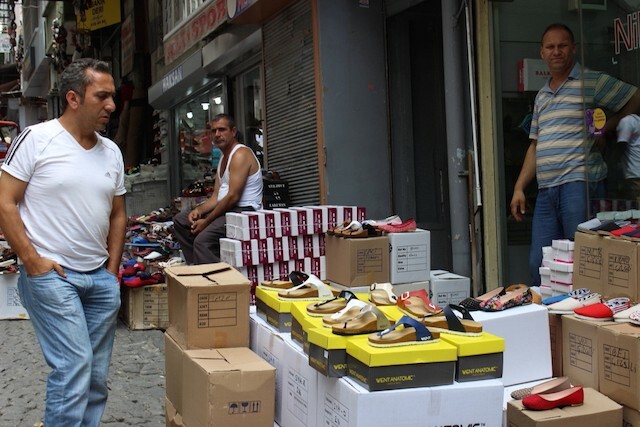 The 33 leading companies account for about half of Turkey’s shoe production, which, according to the 2011 World Footwear Yearbook , was 174 million pairs, of which 72 million pairs were for export, primarily to Iraq, Saudi Arabia, and Russia. Erich Strom is a freelance writer and editor living in Astoria.